FREE Personal Pizza With Pepsi Purchase At Round Table Pizza! 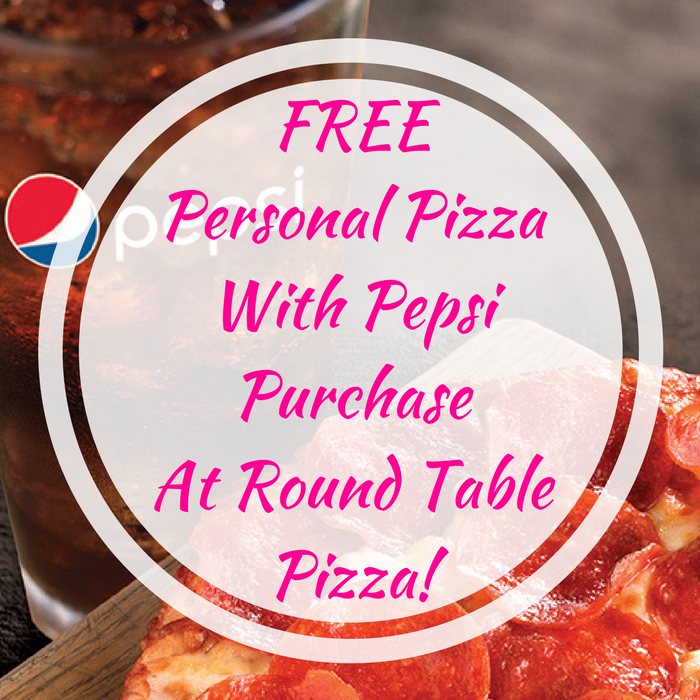 You are here: Home / FREEbies / FREE Personal Pizza With Pepsi Purchase At Round Table Pizza! On February 9, from 2-5pm only! Round Table Pizza will be offering a FREE Personal Pizza with any Pepsi purchase! Please note that this is available for dine-in only at participating locations. There’s only 1 limit per guest. Enjoy!